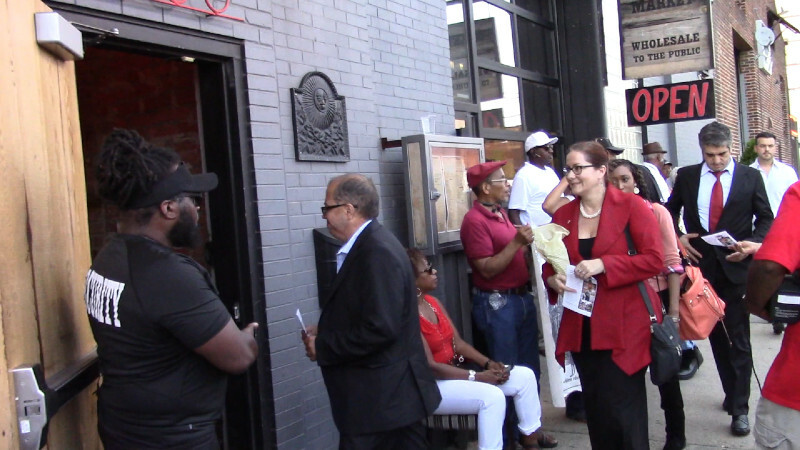 On the 26th of July, DC Mayor Bowser celebrated her birthday with a "public" party at the Ivy City Smokehouse, a restaurant owned by ProFish president and developer Greg Casten. 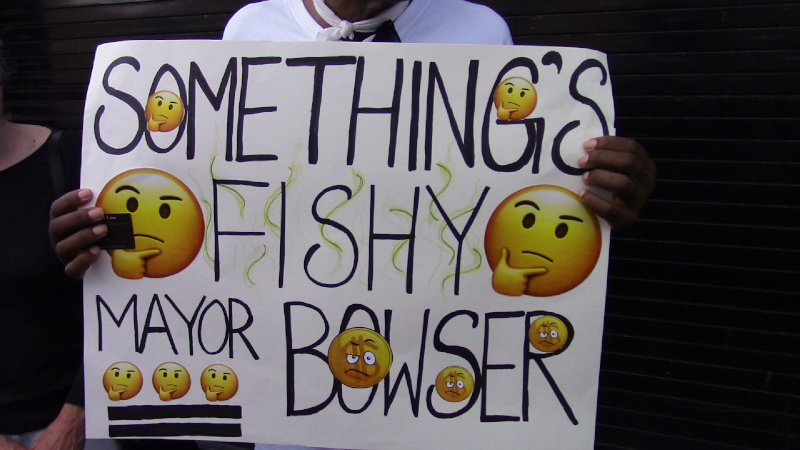 Outside, Empower DC and Ivy City residents staged a loud protest demanding the Mayor include a rec center and playground in any redevelopment of the historic Crummel School site, saying "Something's fishy in Ivy City." 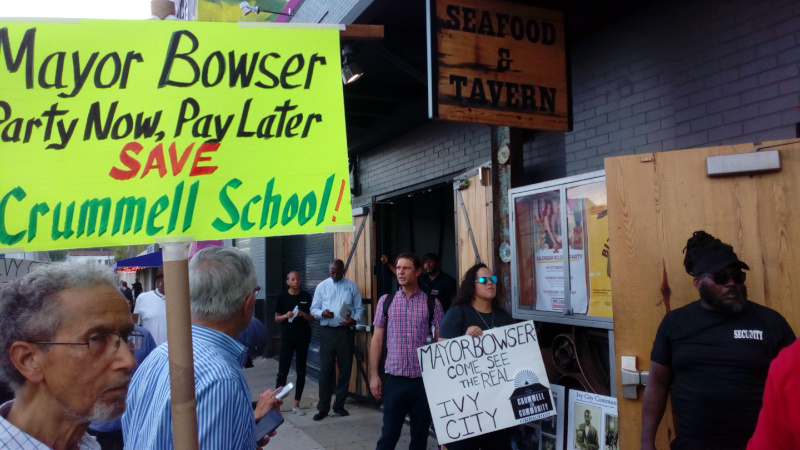 As the Mayor's friends filed into the Ivy City Smokehouse, Ivy City residents emphasized that they want parks and playgrounds, not condos for the Mayor's developer friends and their wealthy customers. The Mayor herself arrived about 40 minutes late, rather like former mayor Tony "The Rat" Williams used to do when protesters were at his public appearances first. Rather than face the protesters, she apparently scuttled into the Ivy City Smokehouse via a back door. Several councilmembers did go in the front door. Ward 8 Councilmember Trayon White took the mike, chanting "all power to the people" and even Jack Evans agreed to take a walk around Ivy City with community groups. He will be held to this promise. 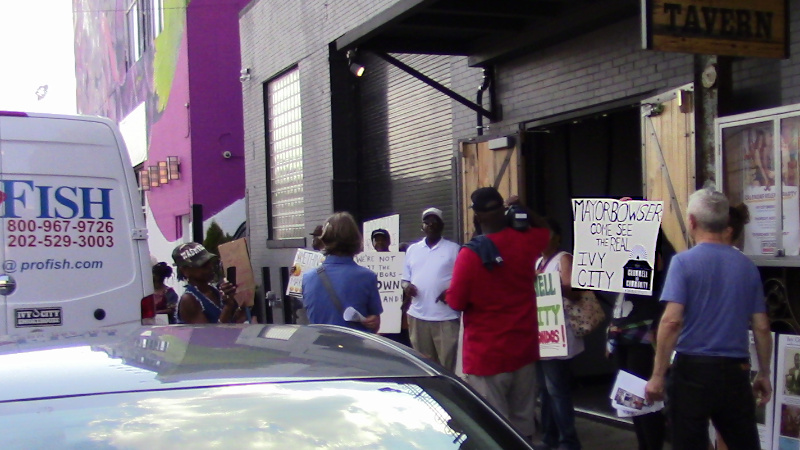 The Deputy Mayor refused to speak to Ivy City residents outside the Mayor's birthday party. 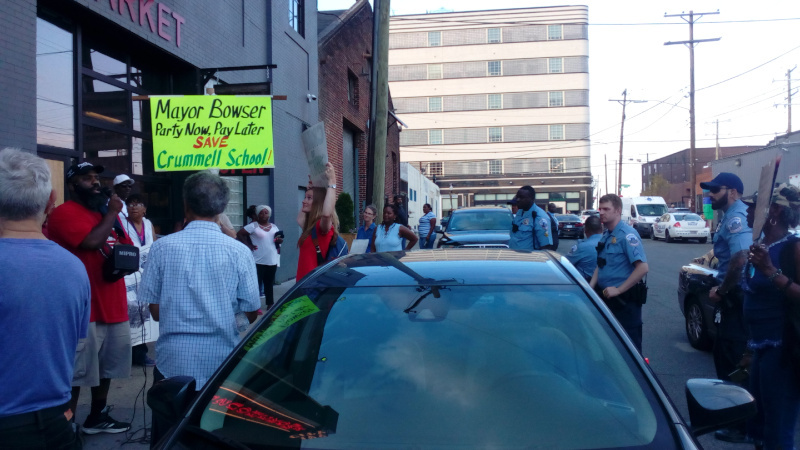 Capping things off, at the end of the protest some of the Ivy City residents put away their signs and went inside (this was billed as a public party after all) to have words with the Mayor about the future of their community and about Crummel School. According to the Washington Business Journal, Ivy City Partners has been picked by Muriel Bowser's administration to "redevelop" the historic Crummel School, supposedly as a "mixed use" project that could theoretically include a health clinic, rec center and a playground for Ivy City's children who currently have none. Ivy City Partners includes Greg Casten's Ocean Pro Properties, whom Ivy City residents do NOT trust with any project involving Crummel School. Residents expect the same "hustle" from Mayor Bowser and her friends that have long been associated in DC with "redevelopment" of housing projects. Time after time, residents get promises that they will be able to move back in and time after time they are evicted never to return. Thus, what residents expect from Bowser and Casten is that no rec center or playground will ever be built, and instead the project will max out on condos for the wealthy as usually has been the case with these kinds of projects in DC. While DC is supposed to retain ownershio of the site, that means little if politicians accept "gifts" and kickbacks to cancel the community elements of the project, demolish the school, and max out the condos in return for a piece of the action. Thus, Empower DC and other community groups have decided to oppose any transfer of the Crummel School site to Greg Casten, owner of the Ivy City Smokehouse where the Mayor held her birthday party. 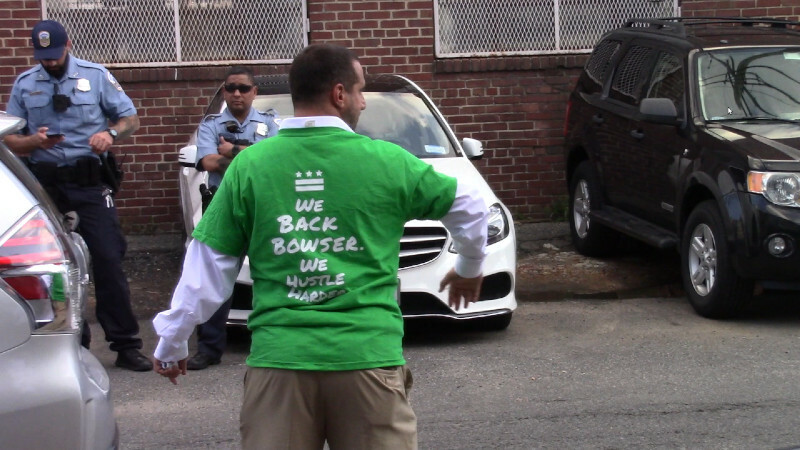 It is interesting that the slogan "Hustle harder" was visible on the green T-shirts worn by several of the Mayor's staffers or supporters at this event, given that a hustle is exactly what Ivy City residents expect to receive from Mayor Bowser concerning all promises regarding Crummel School. Something is fishy in Ivy City!